What used to be Oando Gas&Power is now 100% owned by Helios. The company was named Axxela Limited after Helios Investment Partners purchased a majority stake in Oando’s gas and power business enterprise in December 2016. Now, Helios, a private equity firm with a focus on investments in Africa, has acquired Oando’s remaining 25% interest in Axxela. Bolaji Osunsanya, who has been the Chief Executive all through the several stages of acquisition pays homage “to our storied history and legacy”, but quickly adds that “our recognition as being fully owned by Helios gives us global positioning, greater financial flexibility, and access to capital going forward”. The history and legacy that Osunsanya speaks of includes Gaslink, the brave builder of natural gas pipeline from the Lagos city gate in Ikeja, in the north of the country’s main financial hub, to Apapa, Nigeria’s largest seaport located in the west of the city. 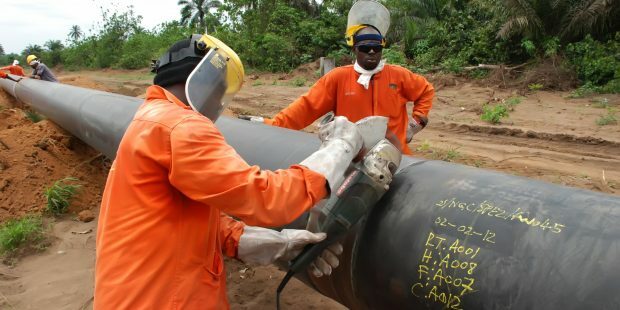 That pipeline was constructed on the back of a franchise from the Nigerian Gas Company, to take some 50Million standard cubic feet of gas per day from the Lagos end of the Escravos Lagos Pipeline and distribute to industries and factories in the city. It was the first time an entirely midstream private (and Nigerian owned) company had emerged to supply natural gas to end users. Prior to that, AngloDutch Shell was distributing natural gas in the industrial estate of Agbara on the Lagos outskirts and in the market towns of eastern Nigeria. Oando also boldly constructed a 128km pipeline in the country’s southeast, but later sold that infrastructure to Seven Energy after it started having financial challenges, mostly due to its acquisition of stakes in ENI (Nigerian Agip) operated upstream oil acreages. “As a partner of choice, we have immense pride in the growth, robustness, and stability of our existing business enterprise, enabling us spur the aggressive expansion of our footprint via our audacious growth initiatives in Nigeria and the West African region,” Osunsanya boasts. Axxela says it is the first private company to attain a shipper’s licence on the West African Gas Pipeline and the first company in the Nigerian oil & gas space to simultaneously integrate and ISO Standards – ISO 9001:2015 (Quality Management Standard), ISO 14001:2015 (Environmental Standard) and ISO 45001:2018 (Occupational Health and Safety Standard).